Amazing Israeli invention a gamechanger: Kids have to earn their computer time with exercise. 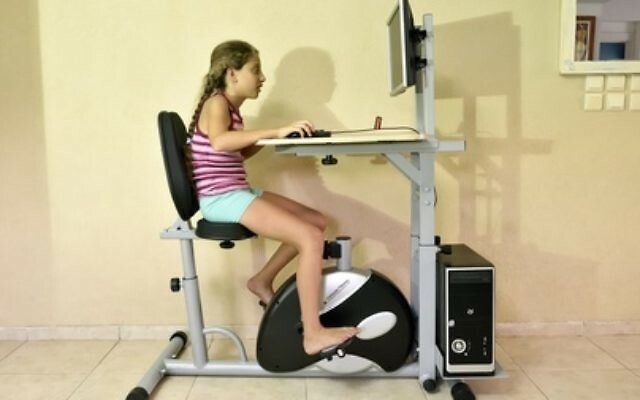 The computer is connected to an exercise bike — and the screen is locked. it’s simple! You unlock the screen by pedaling the bike. Other options enable parents to preset free daily time for their kids, and allow kids to earn credits on the bike and save them to use later. “The system is intended to be fair, and to give the kids a goal that they can reach,” Shalev said.